1. Prepare your vegetables. 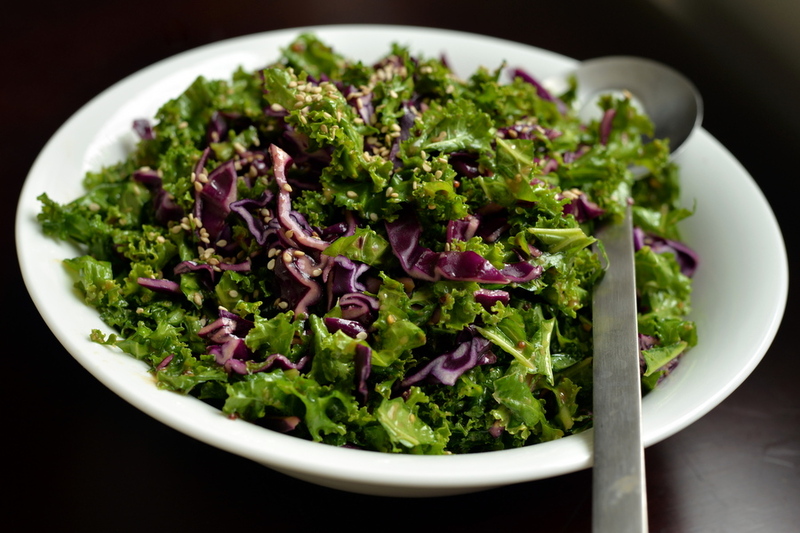 Place the kale in a large bowl. Leave the chopped cabbage on your cutting board. 2. 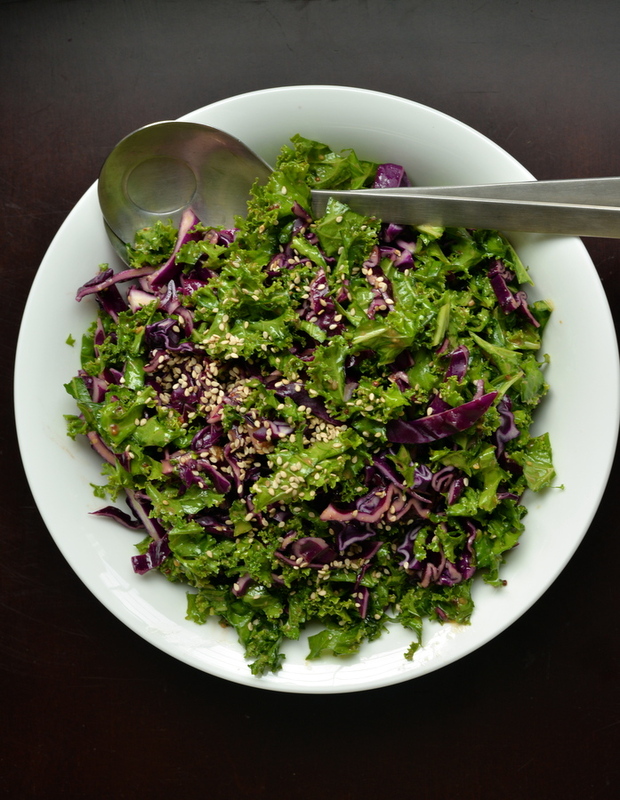 Prepare your dressing by combining the miso, mustard, maple syrup, vinegar, and olive oil in a small container. Mix until completely integrated, mashing the miso to help it dissolve. Stir in the garlic. 3. 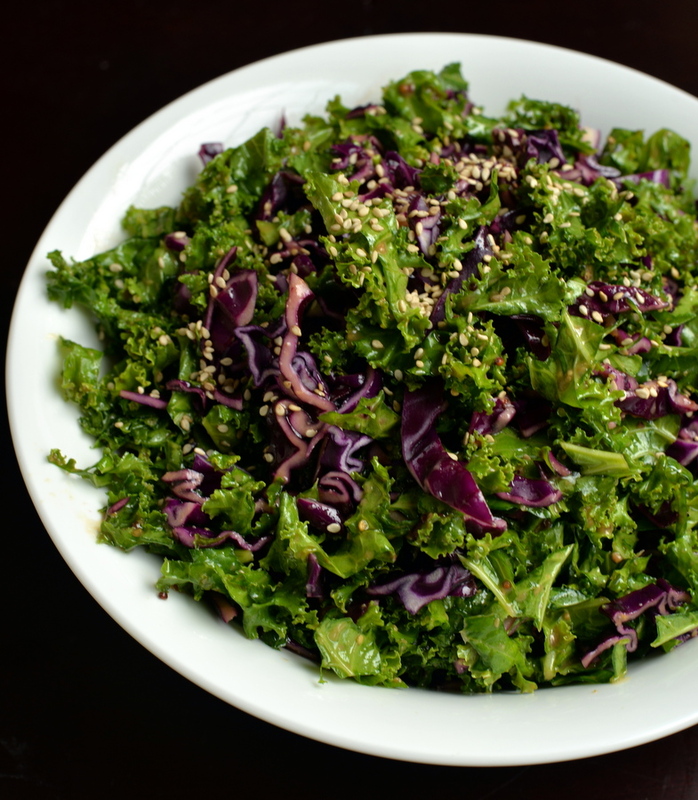 Pour half the dressing with the kale. 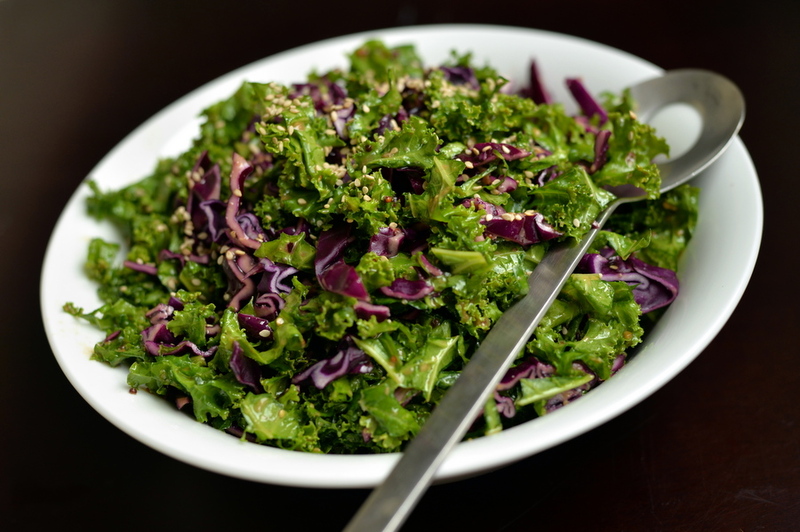 Massage the dressing into the kale leaves, allowing it to wilt down to at least half its size. Set your timer – this can take 5 minutes. Once it has wilted and turned a deeper shade of green, add in the cabbage and the remainder of the dressing. Stir to combine. Top with the sesame seeds prior to serving. Ohhhh this is beautiful! I am going to make it! A bunch of my all time favorite ingredients in one salad. I can’t wait to try this!!!!!!!! Thanks Dawn. I thought of you when I wrote up my peach chia crumble. Are you still into the mila?